Antonio Luque is Dr. Engineer in Telecommunication. 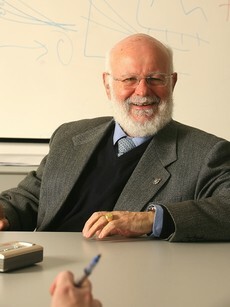 Chair Professor of Electronic Technology at the Polytechnic University of Madrid, in which he founded the Institute of Solar Energy, and led it for over 30 years. His research activity is mainly devoted to the photovoltaic conversion of solar energy. He invented the bifacial cell. This cell was fabricated by Isofotón, a company he created. He is also involved in Concentrator Photovoltaic Research and he inspired the creation of the Institute for Concentrator Photovoltaic Systems in Castilla La Mancha, whose Scientific Advisory Board he chairs and in Silicon ultra-purification research as CEO of the university-industry joint company CENTESIL for a pilot plant in this sector.